Image resolution is nothing more than an instruction to a printing device about how large to reproduce each pixel. Onscreen, when working in Photoshop, your image has no resolution at all. An image that's 3000 pixels wide and 2000 pixels tall looks and acts exactly the same in Photoshop whether you've got the image resolution at 300 ppi or 72 ppi. Same number of pixels, right? 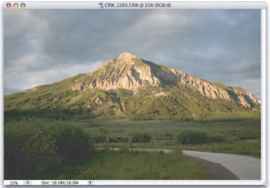 You can always check — or change — a picture's resolution by using the Photoshop ImageOImage Size command. The Image Size dialog box (which you can see in Figure 2-6) has two separate but related sets of information about your image. At the top, you see information about the actual image itself, in the Pixel Dimensions area. Below, in the Document Size area, you see instructions for a printing device — that "size" pertains only to printing and has no impact on what you do in Photoshop. You'll find it very handy to change the pixel dimensions and the print size at the same time in the Image Size dialog box. And, much to the delight of the math-challenged among us, Image Size does most of the calculations for you. Figure 2-6: At the top, real information about your image. Below, simply printing instructions. You have a number of ways to change the size of your photos and other art. In Chapter 4, I introduce you to cropping (chopping off part of the artwork to make it fit a certain size or to improve its overall appearance and impact). 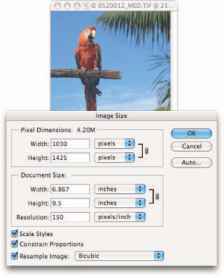 You can use Photoshop's Image Size command to change the image dimensions (or printing instructions) without altering the composition (the visual arrangement of the image or artwork). All the content of the original image is there, just at a different size. Of course, as you can see in Figure 2-7, if you reduce the size of an image too much, some of that original content can become virtually unrecognizable. Figure 2-7: As the smaller image shows, reducing an image too much isn't good. If you know the specific pixel dimensions that you need for the final image — say for a Web page — you can simply type a new number in one of the upper fields in the Image Size dialog box and click OK. In most cases, you select all three check boxes at the bottom of the dialog box, enter your desired print width or height (letting Photoshop calculate the other dimension), enter your desired print resolution, and click OK. Of course, you probably want a little more control over the process, don't you? Figure 2-8 gives you a closer look at the Image Size dialog box. Figure 2-8: Your choices can have a substantial impact on the appearance of your final image. In the lower part of the Image Size dialog box, you have three decisions to make. The first is rather easy: If you're resizing an image that uses layer styles (see Chapter 12), you want to mark the Scale Styles check box to preserve the image's appearance as it shrinks or grows. In a nutshell, layer styles (such as shadows, glows, and bevels) are applied to a layer at a specific size. You can scale the image without changing those sizes or you can scale the image and change the style sizes proportionally. Not scaling layer styles can dramatically alter the appearance of a resized image, as you can see in Figure 2-9. A slight bevel combined with a small drop shadow produces a subtle 3-D effect in the original (upper). 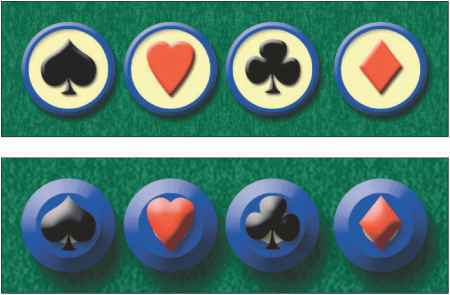 Below, when the image is scaled down to one-fourth the original size without scaling the effects, your chips change to chumps, and the artwork is ruined. Figure 2-9: Scaling an image without scaling its layer styles can ruin your image. The middle check box, Constrain Proportions, should almost always remain checked. There might be some exceptions, but you normally want to preserve an image's aspect ratio (the relationship between height and width) when resizing to prevent distorting the image. Figure 2-10 shows you what can happen when you scale one dimension without constraining the image's proportions. The third check box, Resample Image, is the one that most often requires the attention of that gray matter within your skull. Not only do you need to decide whether you want to resample the image (change its pixel dimensions), but you also need to decide how you want to resample. Refer to Figure 2-8 to see that you have five different ways to calculate the change (called resampling algorithms). Figure 2-10: Resizing an image without constraining proportions. Interesting, yes, but useful? 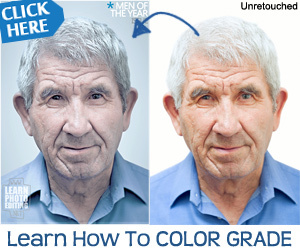 Before I talk about those choices, let me explain what happens when the Resample Image box is left unchecked. The top portion of the Image Size dialog box becomes unavailable — you can no longer make changes in the Pixel Dimension fields (as you see in Figure 2-11). The information is there, but it won't change. When you clear the Resample Image check box, you protect the original pixels, preventing any change to the image itself. 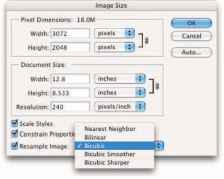 Figure 2-11: Clear the Resample Image check box to change print size, not pixel dimensions. So what's left? When using Image Size without resampling, you're simply changing the instructions recorded in the image for your printing device. When you enter one dimension, either width or height, Photoshop does the math and fills in both the other dimension and the new resolution. Or, if you'd like, you could change the Resolution field and have Photoshop recalculate the print dimensions although it generally makes more sense to specify a desired print size. Figure 2-12: Enter a value, and Photoshop recalculates the fields automatically. 2. A patron likes the artwork, but the painting is too large for the frame that works best with the dining room table. Yeah, patrons can be like that, can't they? 3. The patron asks the artist to make the painting fit the frame. 4. The artist decides between cropping and resampling. 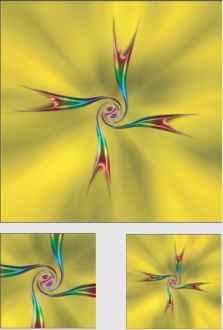 He or she can grab a pair of scissors and cut off some of the painting (cropping) or the artist can re-create the painting from scratch at a smaller size, repainting the scene. Thankfully, Photoshop does the "repainting" for us, using Image Size with its resampling algorithms. 5. The artist charges the patron for the extra work. Cropping cuts away part of the image to meet a target size. Resampling retains all the image but shrinks or enlarges it to meet the target size. After you decide to change the pixel dimensions of your image via the Image Size command, you need to select one of the five resampling algorithms (take another peek at Figure 2-8). Table 2-1 sums up my advice on choosing the right one. 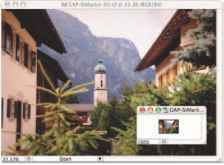 If you'll be resizing a number of images in the same way, either upsampling or downsampling, open Photoshop's PreferencesOGeneral and select the optimal resampling method in the Image Interpolation menu. That algorithm then becomes the default in Image Size, saving you the trouble of changing the algorithm each time. Figure 2-13: The close-up shows inkjet printer droplets. Inkjet printers are stochastic printing devices: That is, they use a series of droplets to replicate each pixel in your image, as shown in Figure 2-13. In theory, the optimal image resolution is one-third of the printer's rated resolution. For example, a printer rated at 720 ppi works best with images at 240 ppi. For a 1440 ppi printer, the formula calls for an image resolution of 480 ppi (and that goes for the 2880 x 1440 printers, too). However, most folks find that regardless of the printer's rating, they never need an image resolution higher than 300 ppi. i Web images: Ignore resolution. Ignore the entire Document Size area of the Image Size dialog box. Consider only the image's pixel dimensions. Determine what area of the Web page the image will occupy and then resize to exactly those pixel dimensions. i PowerPoint presentations and word processing documents: Generally speaking, 72 ppi is appropriate for images that you place into a presentation or Word document. You should resize to the exact dimensions of the area on the page or slide that the image fills. Sometimes resampling an image to 300 ppi does more harm than good. You might get a better print at the image's original resolution than you will at the higher resolution after resampling. If your image's original resolution is 240 ppi or more, consider printing at that resolution rather than upsampling to 300 ppi. When in doubt, work on a copy of your image so that you can return to the original if necessary.